The major cruise companies may have turned some of their attention toward the European river business, according to sources familiar with the matter. Eyeing new-to-(ocean)-cruise passengers with strong demographics, an acquisition of an established European river brand may be in the cards in the near future. A buyout would provide a new market segment of primarily wealthy North American passengers that could then graduate to a premium, luxury or expedition ocean cruise brand. The European river business is known to have capacity for just under 1,000,000 passengers per year, and is a highly seasonal and competitive business environment. Among the challenges would be the fact that few river operators in Europe actually own and operate their own riverboats. Most vessels are chartered from owners by tour operators, with hotel and marine operations outsourced. A new owner, however, could lend its established marine and hotel expertise to a river operation. 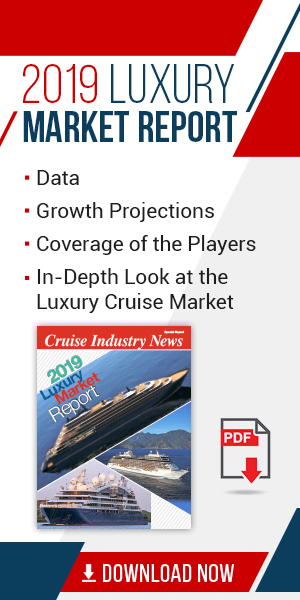 Viking Cruises has successfully managed the transition from the river to ocean business, going from a huge fleet of river vessels to now a quickly growing ocean cruise ship fleet that will number some 18 ships by 2027. Fred. Olsen has done the opposite, going from a fleet of four niche cruise ships into the river market with one vessel. Crystal Cruises has done similarly, expanding its luxury cruise product and adding air, expedition and river programs. In addition is Scenic, which has been a major player on the rivers in European and is now entering the traditional cruise business with the introduction of the 228-guest Scenic Eclipse this April, with a sister vessel also on order. Earlier this month, Scylla announced it had acquired the 155-guest Bremen from Hapag-Lloyd Cruises. Scylla owns 31 river vessels that are chartered to various tour operators, and will bring the Bremen under its banner in 2021. Nicko Cruises is another operator in both segments, as the Mario Ferreira-owned brand has successfully been turned around, and will launch and ocean product this year with the 200-guest World Explorer.